30th National Veterans Wheelchair Games. and they wanted to bring the event to the attention of the GovLoop community. The National Veterans Wheelchair Games has grown to become the largest annual wheelchair sports event in the world. Each year, the Games bring together hundreds of U.S. military Veterans who compete for medals in 17 Olympic-style events. Participation in the Games has grown from 74 athletes in 1981 to more than 600 competitors in 2010. The Games, presented by Paralyzed Veterans of America and the Department of Veterans Affairs (VA), are open to all U.S. military veterans who use wheelchairs for sports competition due to spinal cord injuries, certain neurological conditions, amputations or other mobility impairments. Veterans at the Games compete in events like swimming, table tennis, weightlifting, archery, air guns, basketball, nine ball, softball, quad rugby, bowling, hand-cycling, wheelchair slalom, sled hockey, power soccer, a motorized wheelchair rally, track and field and trapshooting. Athletes compete in all events against others with similar athletic ability, competitive experience or age. Click here to learn more about the Games. GovLoop: How does HP support the Games? Shea: HP provides the technology and resources that help with game management and online monitoring of athletes. We applaud the PVA for giving our country’s heroes the opportunity to exceed their potential,” said Tom Hempfield, vice president of the U.S. Federal Business Organization at HP. GovLoop: What motivated HP to get involved with the Games? Shea: The Department of Veterans Affairs (VA) has been a very important HP customer going back to the mid 1980’s. Since that time HP has provided both systems and services to support VA hospital information systems on a nationwide basis. Through this effort we have come to know and understand the important mission that the VA has in supporting veterans and their families. The VA teams with the Paralyzed Veterans of America (PVA) to sponsor the annual National Veterans Wheelchair Games (NVWG) that provides these veterans an opportunity to gather together, and compete in athletic events that allow them to concentrate on their ability, rather than any disability. These games are held in a different city each year and are attended by over 600 wheelchair athletes competing in 17 different sporting events such as swimming, basketball, softball, weightlifting, and track and field. This year marks the 12th year that HP has been a national sponsor on these games. What motivated us to get involved in this sponsorship? When you work so closely with a customer such as the VA, their dedication to their customer, the veterans, becomes your dedication as well. 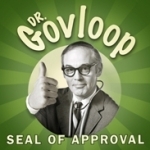 GovLoop: What were some of the highlights from this year’s event? Shea: This year’s event was held in Denver and was kicked-off on the fourth of July, a fitting date to honor the sacrifices that these men and women have made on behalf of our nation. The events ran throughout the week and included the largest number of wheelchair athletes taking part in the Games since they began 30 years ago. Throughout the events you could not help but be struck by the camaraderie, and inspiration that characterized every athlete and every competitive event. These games have inspired newly injured soldiers to get up off the couch and get back into life. They have given older veterans a chance to be with close friends that share a special bond and gives them an opportunity and a reason to continue to strive for greater mobility and well-being. These games give HP the opportunity to show our support for these special athletes and the families that support them. Some highlights of this year’s event includes HP’s sponsorship of Kids Day where local children with disabilities take part in a day of fun outdoor activities and are paired with veteran wheelchair athletes who act as mentors in showing these children how to focus not on limitation, but on what is possible. HP also sponsored the 10th Annual Kids Day on Thursday, July 8, offering local children from the Denver area with physical disabilities an opportunity to interact and participate in several athletic events, under the guidance of wheelchair athletes competing in this year’s National Veterans Wheelchair Games. Under the watchful eyes of the athlete mentors, the children enjoyed both interactive and educational activities. Each year, Kids Day introduces the exciting world of adaptive sports and recreation to children with physical disabilities. At the conclusion of a fun-filled afternoon, a special closing ceremony takes place, where the athletes present the children with their own medals for participating in Kids Day. More from Shea: In addition to Kids, Day HP also sponsors an Internet Café for use throughout the week by veterans and their families. HP’s Vice President of Federal Enterprise Business Tom Hempfield attended the opening of the games this year and through his generosity we were able to raffle off a new TouchSmart PC to one lucky Veteran wheelchair athlete. GovLoop: How do the Wheelchair Games differ from other events that HP sponsors? Shea: With all of the good causes that HP supports throughout the world, I’m not sure this event is completely unique. I can’t say that it is the only event HP sponsors in support of persons with disabilities. I can’t say that this is the only event HP sponsors that is philanthropic in nature rather than marketing or sales oriented. What I can say is that I am proud to be a part of a company that sponsors the National Veterans Wheelchair Games. In addition, HERE is another great perspective on the Games from HP’s Christina Morrison. Sixty-four years ago, Paralyzed Veterans of America was founded by a band of spinal cord injured service members who returned home from World War II to a grateful nation, but also to a world with few solutions to the challenges they faced. These veterans from the “Greatest Generation” made a decision not just to live, but to live with dignity as contributors to society. They created an organization dedicated to veterans service, medical research and civil rights for people with disabilities. And for more than six decades, Paralyzed Veterans and its 34 chapters have been working to create an America where all veterans, and people with disabilities have everything they need to thrive. “Being my first games experience, I came away deeply touched by the commitment of the numerous people required to make all the moving parts of such an event work so well. My primary responsibility at PVA is raising sponsorship commitments for the games. Many of our sponsors have been participating for multiple years, some as many as twenty-five years, and when you talk to them you understand how much they care for the athletes. So maybe we’ll see you all at the Games next year – one things for sure: HP will be there!